Craig Smith and Erica Wagner. Photo – Annette O’Brien for The Design Files. 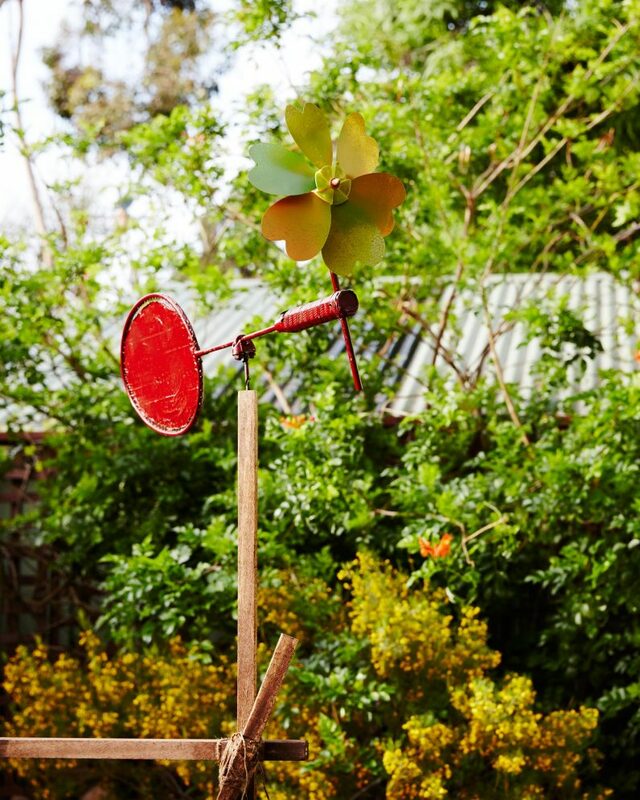 Craig’s garden sphere is located in West Brunswick, Melbourne, and he shares it with his partner Erica Wagner, an artist and publisher. The pair both work predominantly from home and have lived in the property for 15 years. 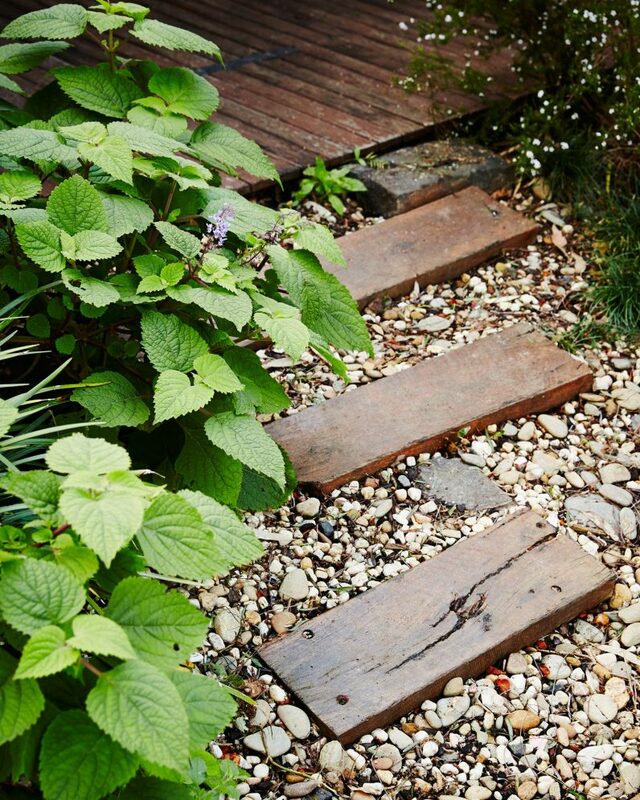 The garden clearly plays an important role in grounding them and supporting their creative processes. Whilst the ink is drying on a drawing I’ll go outside and do some pruning,” Craig tells me. When Craig and Erica first moved to the property there were a couple of mature trees, but everything else was planted by them. Craig is the chief gardener, and tells me the first thing he did was to plant sacred bamboo (Nandina domestica) as a background planting. “It’s so tough and resilient and it creates a great backdrop,” he says. Merbau timber steppers and gravel pathway flanked by (Salvia spp.). Photo – Annette O’Brien for The Design Files. 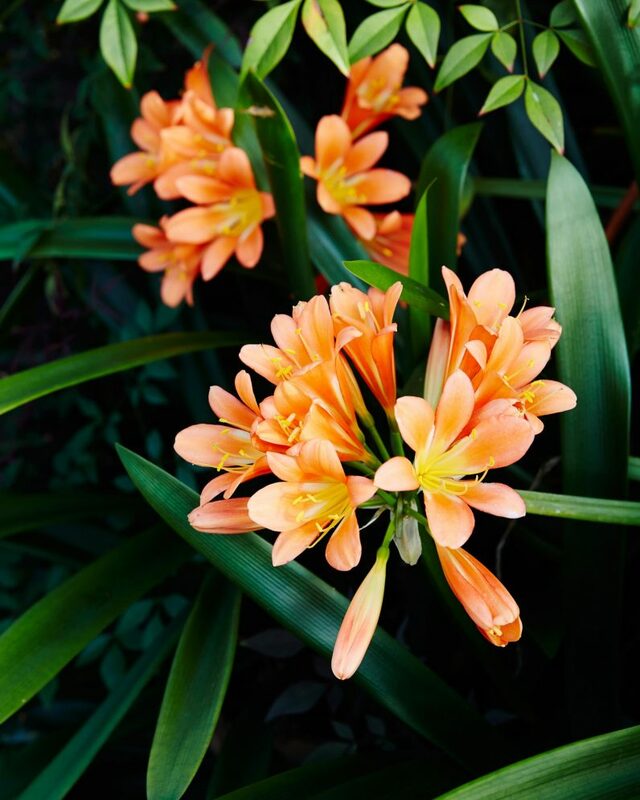 The vibrant orange of clivia (Clivia miniata). Photo – Annette O’Brien for The Design Files. A badminton racket sculpture! Photo – Annette O’Brien for The Design Files. 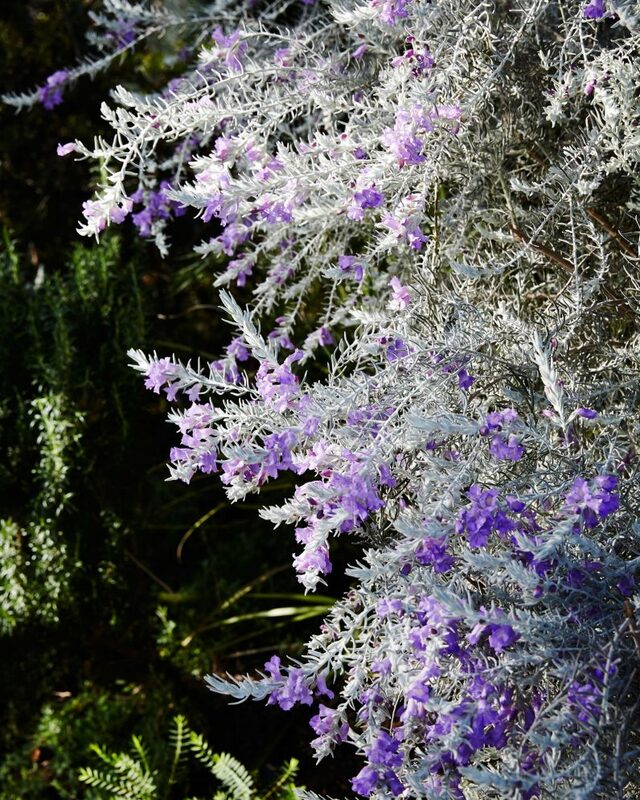 The gorgeous grey foliage of grey emu bush (Eremophila nivea ‘Beryl’s Blue’). Photo – Annette O’Brien for The Design Files. 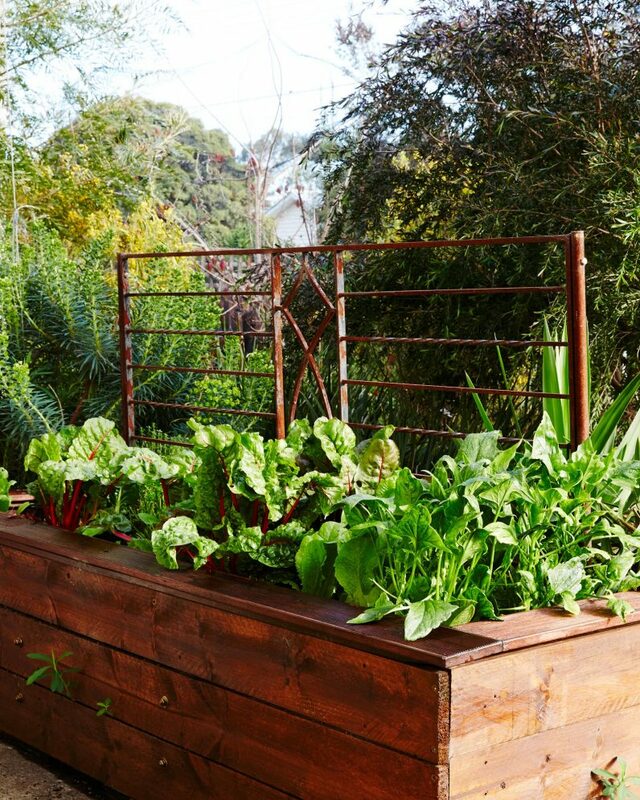 Raised timber vegetable beds made by Craig. Photo – Annette O’Brien for The Design Files. 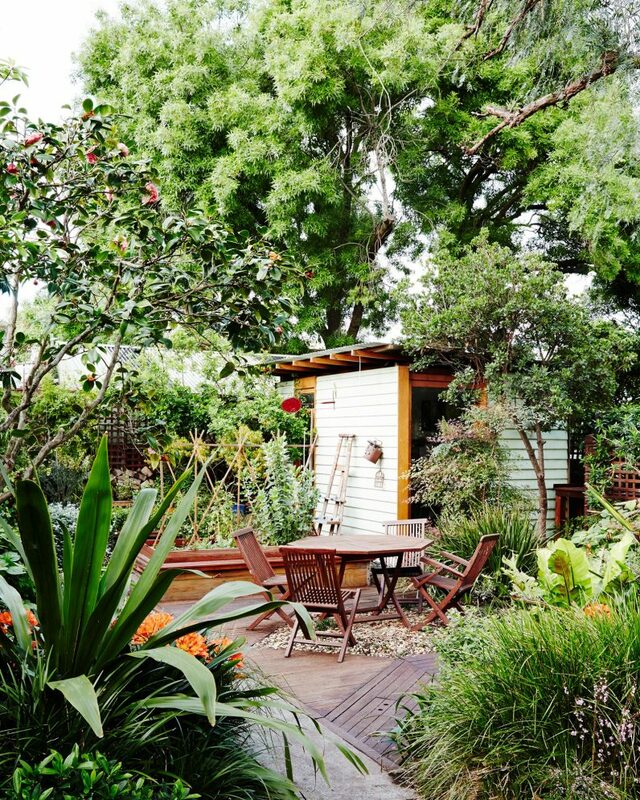 This is a beautiful and personal garden, but as always, there’s more to it that meets the eye. Behind the lush foliage, and underneath the carefully cultivated soil is a series of pipes connecting rainwater and greywater storage to irrigation systems, tanks and more. “I’m a zealot about water and water use,” Craig tells me. A garden is so much more than the sum of its parts. 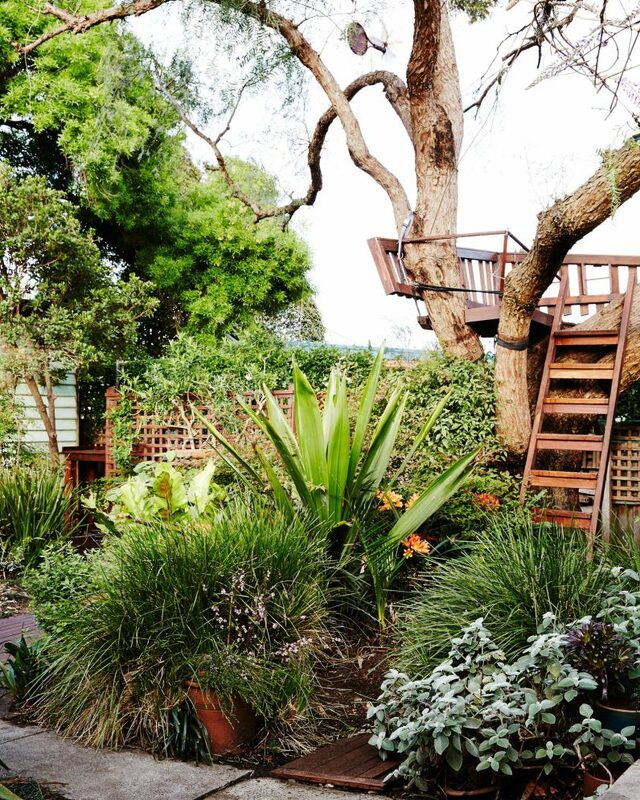 As Craig suggests, a garden can be a reflection of a world view, a personal exploration of the connections between humans and nature, and so much more. For these reasons, cultivating a garden is one of the most important and nourishing endeavours I know of. “It feels really great when you feel like you can do something for the world, even in your own little patch,” says Erica. This story was produced as part of our monthly collaboration with The Design Files. All images byAnnette O’Brien, © The Design Files. The studio in the backyard is used by Erica for her art practice. Photo – Annette O’Brien for The Design Files. Erica and Craig’s front garden is predominantly native plantings. Correa, hebe, senna (Senna artemesioides) and Rosemary grow underneath a small paperbark tree (Melaleuca spp.) Photo – Annette O’Brien for The Design Files. Mixed shrub plantings of senna, white diosma, plectranthus and euphorbia. Photo – Annette O’Brien for The Design Files.